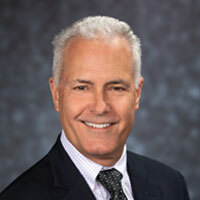 Named a vice president in 2005, John (Jack) Goodrich oversees LeChase’s corporate strategy and growth initiatives in the southeastern U.S. Jack started his construction career in 1982. After joining LeChase as a project manager in 1991, he gained experience on a range of projects – from $500,000 renovations to multi-million dollar new construction – and quickly moved into the role of project executive. His knowledge of construction for the health care and higher education markets is unparalleled. Jack graduated from Clarkson University with a BS in civil and environmental engineering. He was a member of the Golisano Children’s Hospital Board of Directors before moving to North Carolina and is currently an active member of the North Carolina Healthcare Engineers Association.